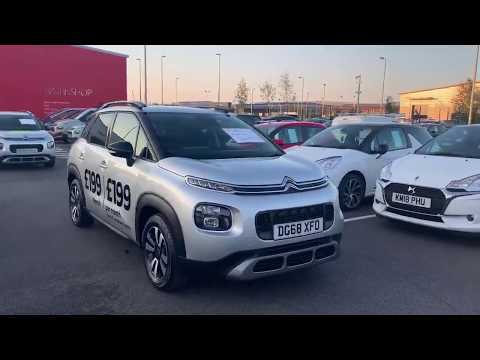 Right now at Swansway Chester Citroën we have a number of stunning C3 Aircross Feel models available with a fantastic discount of £3,700.00 off the MRRP. Alternatively, on an Elect 3 Personal Contract Plan* agreement from PSA Finance, you can drive this car away from just £199.57 per month! Call the team on 01244 567713 or fill out an enquiry form. Elect 3 Personal Contract Plan Finance Example below for C3 Aircross PureTech 82 manual Feel. Elect 3 Personal Contract Plan Finance Example below for C3 Aircross PureTech 110 S&S 6 speed manual Feel. Terms and Conditions: *Finance offers apply to qualifying vehicles purchased and delivered by 31/10/18. Offers available to qualifying retail customers excluding Citroën Contract Motoring. Finance offers apply to UK Mainland only. Finance subject to status. Guarantees may be required. Over 18s only. Excess mileage charge of 6.6p per mile will apply if you exceed the agreed annual mileage. Written quotations available on request from PSA Finance UK Ltd trading as Citroën Financial Services, Quadrant House, Princess Way, Redhill, Surrey, RH1 1QA.